In the Boston Marathon bombing trial, defense attorneys for Dzhokhar Tsarnaev are pushing back on the prosecution’s ready narrative of a teenager turned self-radicalized, Islamic jihadist. Rather than try to convince the jury of Boston residents that Tsarnaev had not committed the crime, the defense team is focused instead on avoiding a death sentence for the 19-year-old. And they are trying to do so in large part by poking holes in the prosecution’s evidence of Tsarnaev’s supposed descent into radical Islamic extremism. Instead, the defense team has argued, Tsarnaev was just like a normal teenager and had normal teenage concerns — cars, Comedy Central, girls. Until, that is, his elder brother, Tamerlan, misled him. Tamerlan, who was killed during the manhunt for the two brothers following the bombings, had embraced a radicalized view of Islam and remained out of touch with his adopted country. 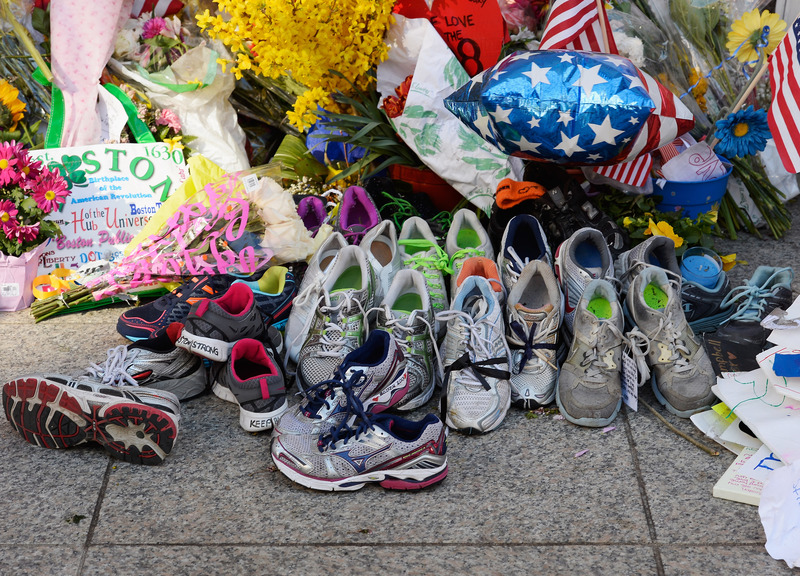 In some ways, the trial over the Boston Marathon bombing was over before it even started. Defense attorney Judy Clarke told the jury in her opening statement that they would not be contesting any of the basic facts in the case against Tsarnaev. Alongside his older brother Tamerlan, Tsarnaev did, in fact, carry a backpack containing a homemade pressure cooker bomb to the marathon site on April 15, 2013. When their bombs detonated in the packed streets, three people died, including an eight-year-old boy, and more than 260 were injured. On Monday, defense attorney Miriam Conrad did much to pull apart the prosecution’s stereotypes of a radical extremist when cross examining an FBI agent named Steven Kimball who analyzed Tsarnaev’s use of social media. Kimball had painted a damning picture of young Tsarnaev using his Twitter account to trumpet his new allegiances to an Islamist political project, his hatred of America and his commitment to martyrdom. Yet on cross examination, much of the prosecution’s evidence unraveled as the FBI analysts failed to do their homework before showing up to court. For instance, Kimball attributed a quote in one of Tsarnaev’s tweets to Anwar al-Awlaki, a radical Islamist cleric with ties to al Qaeda, when in fact the phrase is an excerpt from the Qur’an. Many of the tweets deemed suspicious and leaning towards jihad actually featured lines from popular songs. In one particularly cringe-worthy mistake, Kimball highlighted a tweet of Tsarnaev’s in which he wrote in Cyrillic, “I shall die young.” But the offending quote draws directly from a Russian pop song; glaringly, a link to the song’s video was included in the same tweet, but the FBI agents had never clicked on it. In another example, Kimball had testified that one of the Twitter accounts attributed to Tsarnaev had a picture of the Great Mosque in Mecca, as the background photo. Conrad had a few words to say in return. “Did you bother to look at a picture of Mecca?” she asked. “Would it surprise you to learn that it is a picture of Grozny?” Conrad replied. In fact, the picture was of the Akhmad Kadyrov mosque in Grozny, Chechnya — the capital city of the Tsarnaev family’s homeland. As The Guardian’s Nicky Woolf noted, Conrad's cross-examination made it clear that Tsarnaev was more acclimated to American youth culture than the FBI agents who were bent on investigating his anti-American tendencies. The prosecution missed references to popular shows on Comedy Central like Tosh.O. At one point, Conrad asked Kimball what “mad-cooked” might mean. The FBI agent, clearly uncomfortable, hazarded a guess: crazy. The phrase, for all those readers not up to date with their lingo, means high. When Conrad placed those tweets in context, much of Kimball’s testimony was made to look like the result of cynically selective representation by the prosecution. And Conrad’s line of questioning made it clear to the jury that the prosecution had cherry-picked those tweets in order to give off the image of Tsarnaev that they wanted the jury to believe. When she asked Kimball who had decided which tweets to present to the court, the agent indicated the prosecution. At the end of the day, this trial is not about whether or not Tsarnaev is guilty of the tragic, horrific crime that rocked Boston almost two years ago. Instead, what is on trial is the American understanding of how someone who lives in our neighborhoods could turn to an act of such violence. Both the prosecution and the defense, in their own ways, are trying to explain what took Tsarnaev from the couch watching Comedy Central to the finish line of the Boston Marathon with a bomb in his backpack. It would be easy to direct the blame for Tsarnaev’s actions outward — to tell the simplified narrative of an outsider who falls prey to the tenets of radical Islam. That is the story that the media has been telling about Islamist groups in the Middle East for decades now; it is familiar. It is nonthreatening. It is more difficult to wrestle with the complexities that Dzhokhar Tsarnaev’s case offers us. For all extents and purposes, he was not an outsider, but an American in his cultural and social habits.